Conceptualized almost 10 years back, the AACCI is the premier non-profit, privately funded non-government organization which serves as the key liaising body representing the views of both African and Asian business and enterprises having business interest in their respective countries. As the voice of business, the Chamber’s core objective is to advocate for free and enterprise with Member Countries’ Parliament, Industry Commissions, regulatory bodies such as WTO, and governments around the Africa-Asian countries. 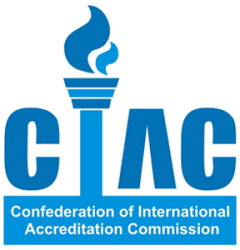 Started in 2009, Confederation of International Accreditation Commission (CIAC, Global) is an International, non-Governmental, private, self-financed educational quality assurance & accrediting body, federally recognized as started in affiliation with CIHF, India now expanded its reach all across the globe with its office in USA, Canada & Other International chapters and representative offices. CIAC has established high standards of excellence through quality assurance. Passion Vista Magazine is the ultimate showcase for five-star travel, fine dining, exclusive property, luxury cars, private jets, high end fashion, premium beauty and the very best in grooming. However, what separates us is that we are more than just a luxury lifestyle magazine sitting on the book stand of a store, we, for the first-time have integrated Business & Entrepreneurship to the world of luxury & lifestyle. With over 100,000 copies in circulation across countries like USA, Canada, UK, Sri Lanka, South Africa & India, we publish quality over quantity as our affluent and high net readership only want to read about the brands and services that deliver on their promises. This is why the vast majority of the hotels, restaurants and consumer brands featured on this magazine have been road tested by our expert team of writers. 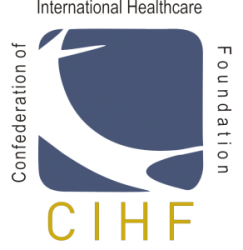 Founded in 2005, Confederation of International Healthcare Foundation (CIHF) is an independent non-government, not-for-profit organisation that endeavors to leverage corporate, employee & leadership talent for healthcare development, education for community development and social well-being. The basic objective of CIHF is to provide a common platform for all its members to discuss & develop a mechanism to develop a continuously improving, self-regulating, healthcare delivery system for the benefit of all concerned with healthcare and ensure organised action wherever necessary. 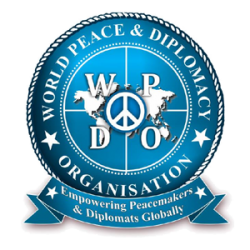 World Peace & Diplomacy Organisation (WPDO) was founded in 2011 from CIHF- Confederation of Indian Healthcare Foundation, as a private, not for profit organization, aiming at resolving conflicts & prevailing peace amongst and within nations. The need for peace was not a new initiative but never before WW 1 & 2 had most of the nations of the world gathered together and raised their voices as one to cumulatively form an intergovernmental organization to initiate peace process and UN was established in 1945 to promote international cooperation. WPDO which is working towards world peace also supports UN Sustainable Development Goals 2030.